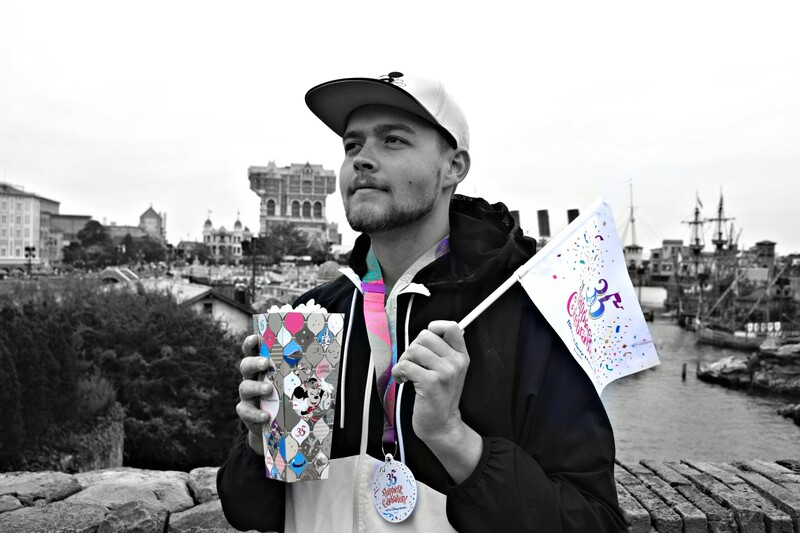 Sean: We have traveled to quite a few parks around the world and we got the conclusion that we like Phantasialand the best. 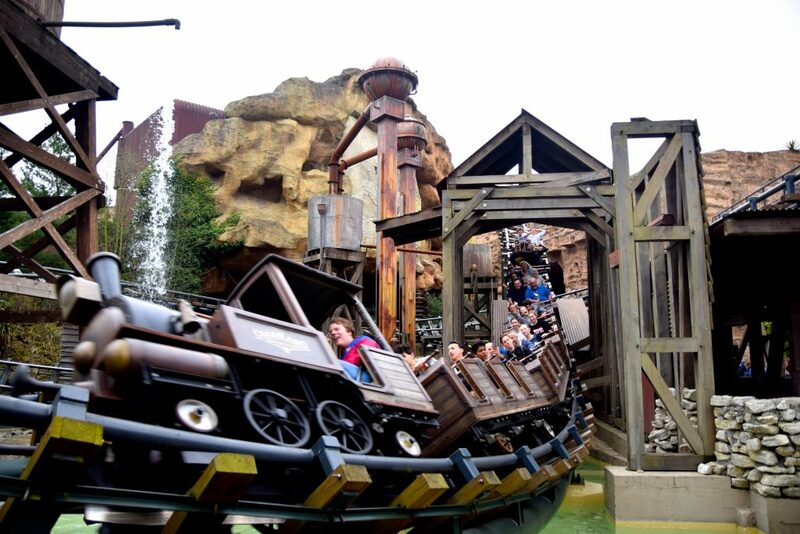 Not only is this park a thematic wonder world, it is a heaven for coaster enthusiasts too. 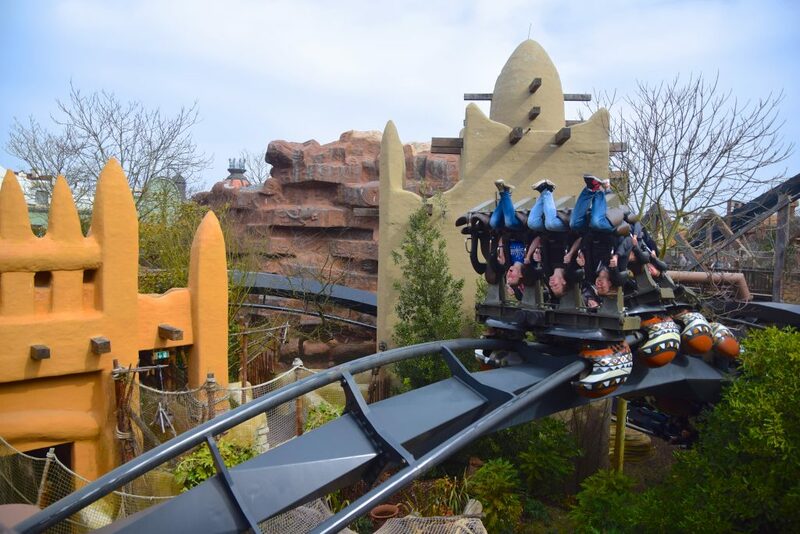 The park is home to (arguably) the best Inverted Coaster, Multi-Launch Coaster, Spinning Coaster and Mine Train, while offering some of the best themed-settings this world has ever seen. 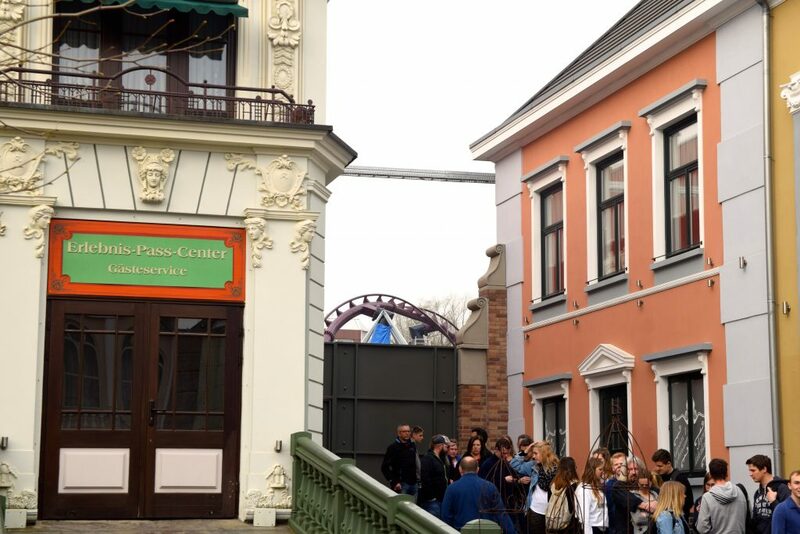 We entered Phantasialand through the Berlin entrance, which is on the opposite side of the park from the Mystery and China entrances. 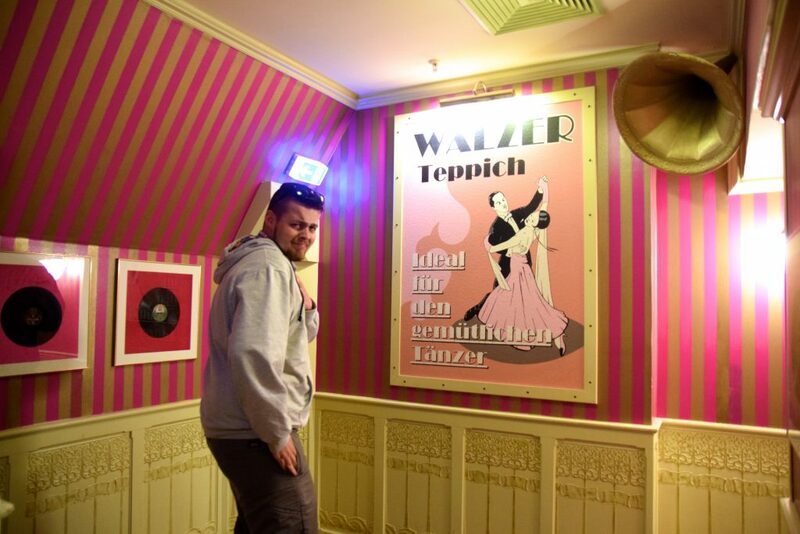 We were welcomed by some charming German entertainment. When entering the park it becomes clear that this park is sunk into the ground and that the park utilizes a lot of different levels to fit all the awesomeness into one little park! 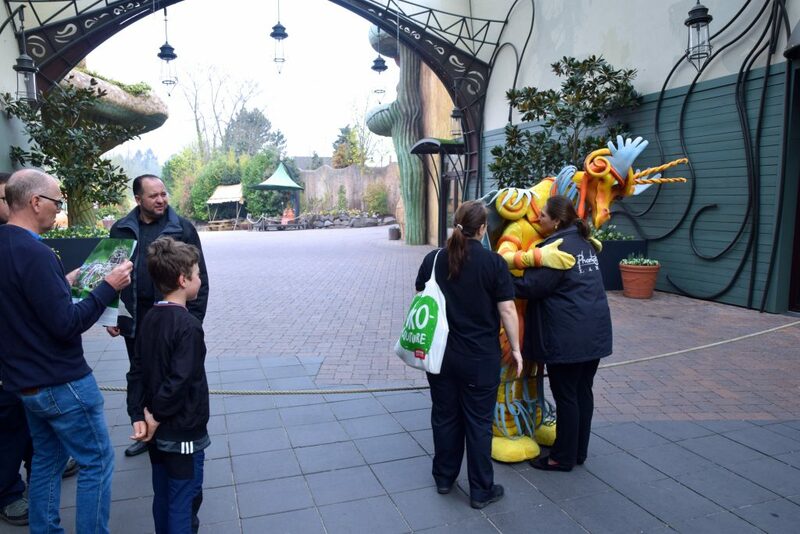 The park opens an hour prior to most rides opening, some rides open at 9.30am, so people can get their day started sooner! Our first ride of the day was F.L.Y! Just kidding, it was Maus Au Chocolat! The interactive dark ride of a lifetime! Riding this first thing in the morning meant we got on quite quickly! 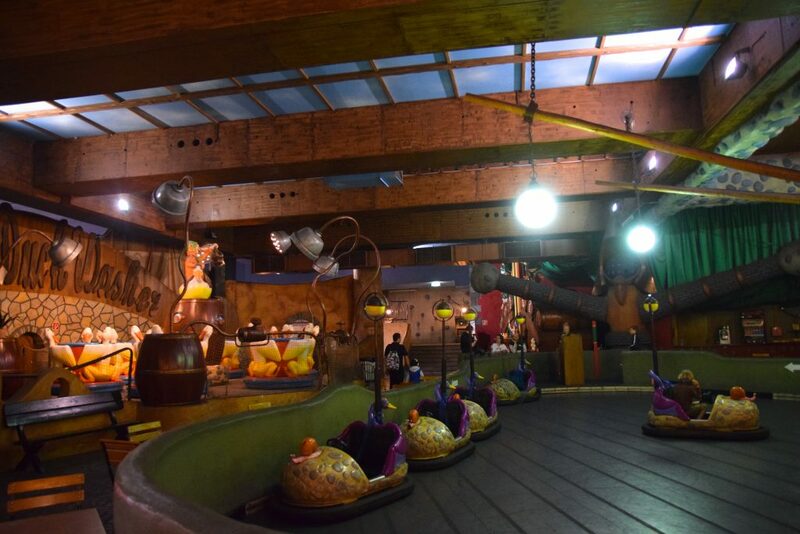 Mouse Au Chocolat is like Toy Story Mania, but with much superior theming and screen quality! I really enjoyed our rides on it. It was a perfect taste of the amazingness that had yet to come. 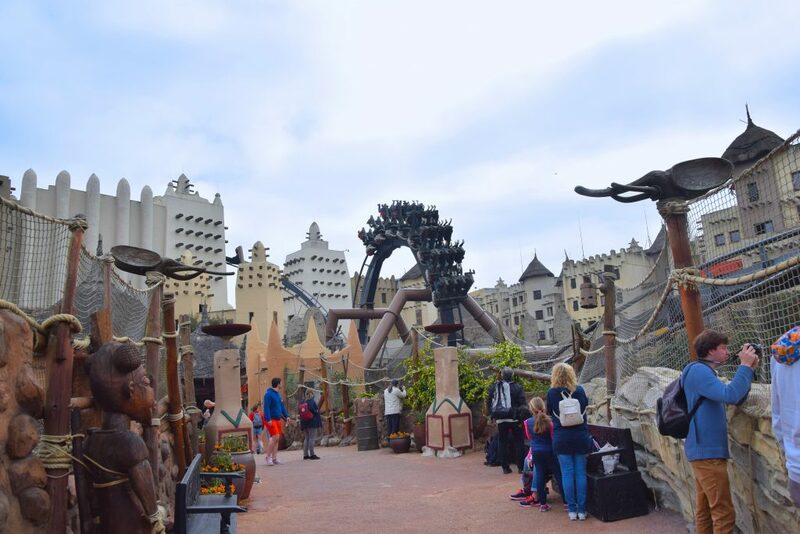 Before the rest of the park opened, one of Phantasialand’s many dragon characters was around to take pictures with. 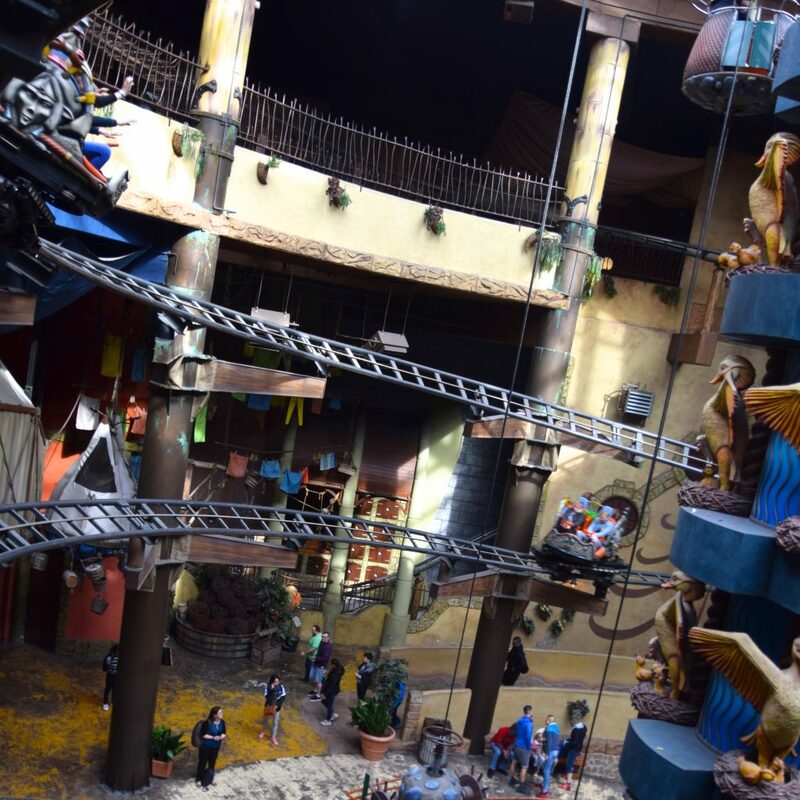 Once the floodgates opened we quickly made our way over to Wuze Town, in search for, arguably, the world’s best spinning coasters! Mind you that a few feet from where this picture was taken there are houses. This park is so beautiful and yet so perfectly wedged into a neighborhood. There it is! Wuze Town! 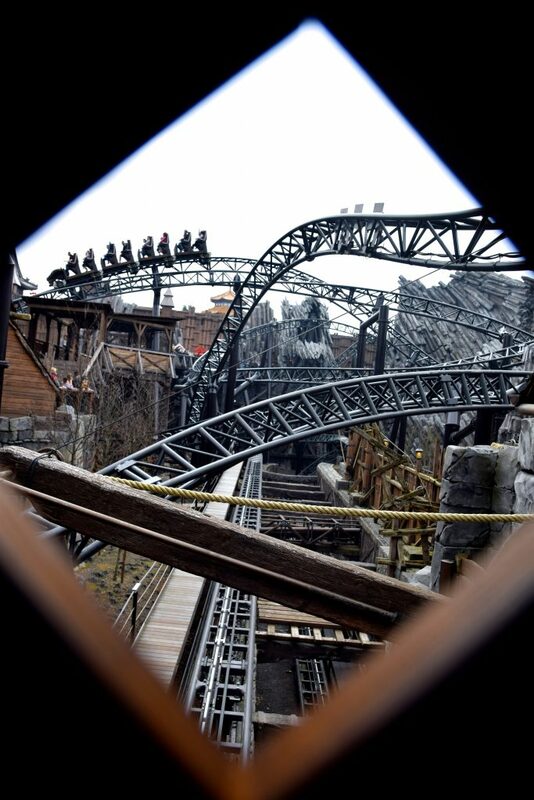 We advise everyone planning a trip to Phantasialand to ride Winjas Fear or Winjas Force first thing at park opening! The lines may get long, and you HAVE to ride both, they are just too good! 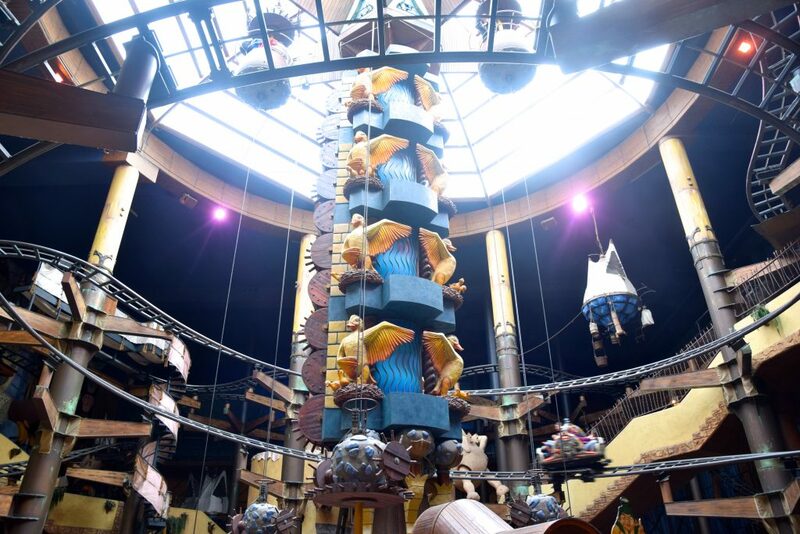 Wuze Town is the park’s indoor section with several kiddie rides, the astonishing Winjas, and the Tittle Tattle Tree. 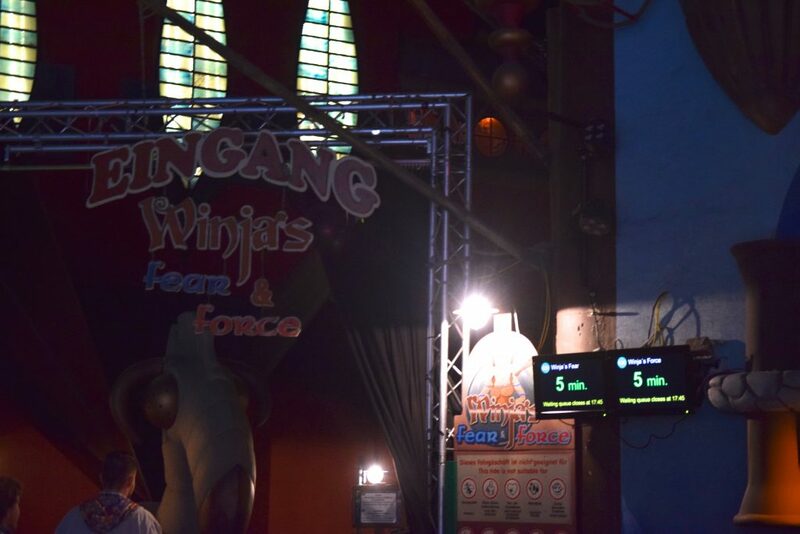 Winjas is two separate roller coasters, Fear and Force. Force is the milder of the two, though both are surprisingly big and lengthy for spinning coasters. Fear is definitely more intense, and the preferred one of the two for me, it is by far the most fascinating Spinning Coaster experience I have ever encountered. 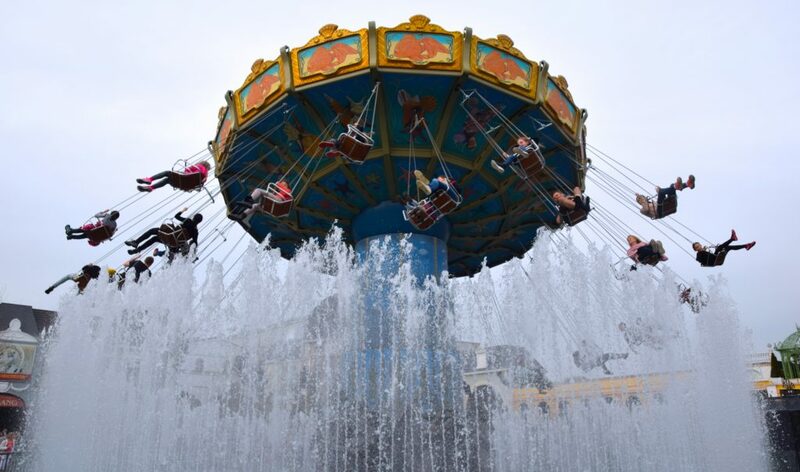 These rides are perfectly family friendly, like most coasters at the resort. The great news about Winjas, even with unexpected German rain, the indoor feature keeps it running comfortably all day. 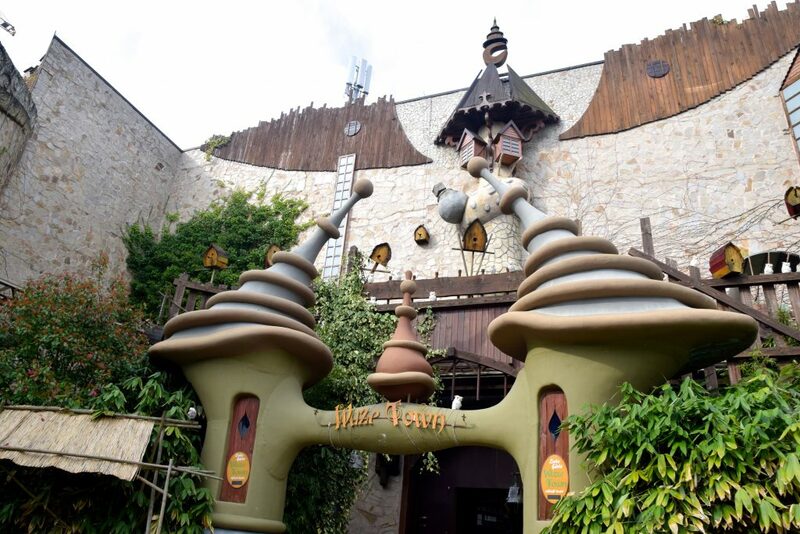 It’s easy to forget that Wuze Town is home to a few children play areas and kiddie rides. 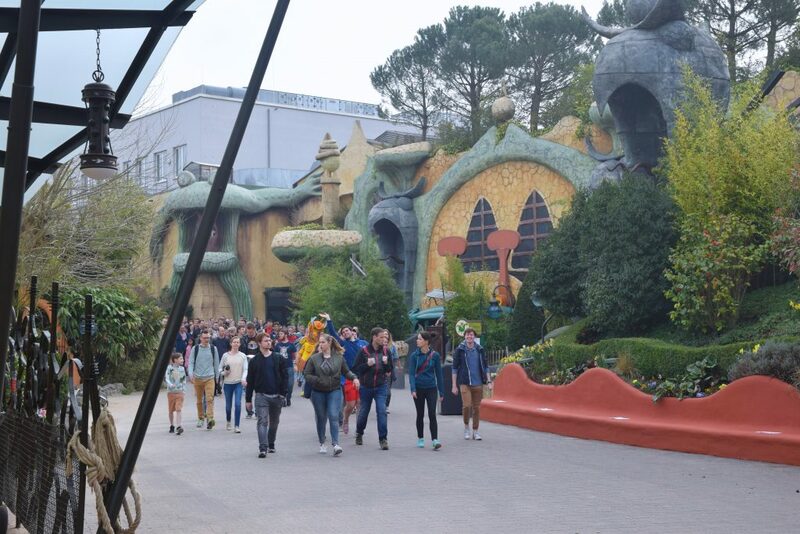 There is a lot to do on several different levels of this themed area. 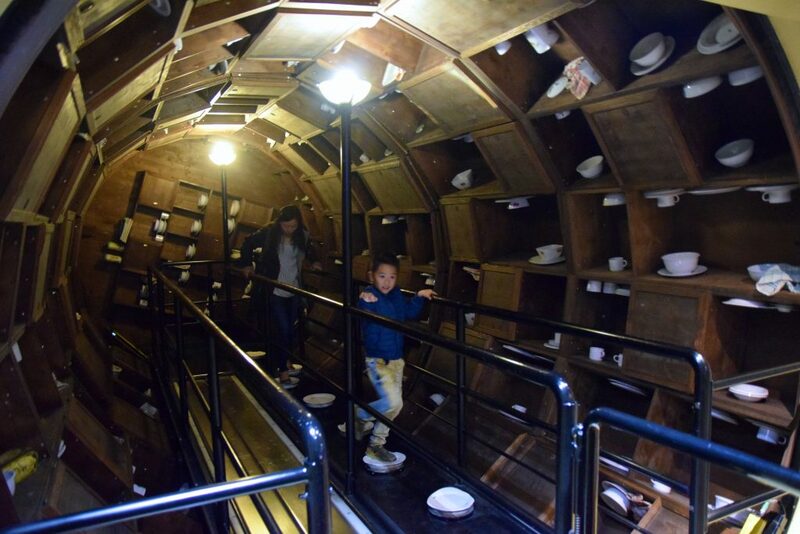 We entered on the bottom of Wuze Town and made our way up. And at the top of Wuze Town we find the Hollywood boat ride! 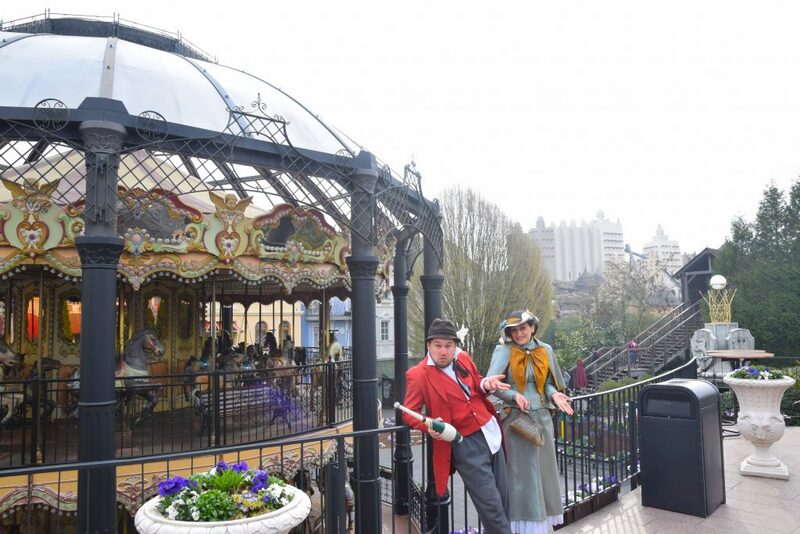 The park’s classic so-bad-that-its-good European dark ride themed to movies. We enjoyed the ride, but given the giant building it’s located in, and the very limited real estate for the park, we don’t expect it to be around much longer. For those familiar with the Intamin shoot the chutes that are to be found all over the United States, it’s the same ride system! (Extended of course). 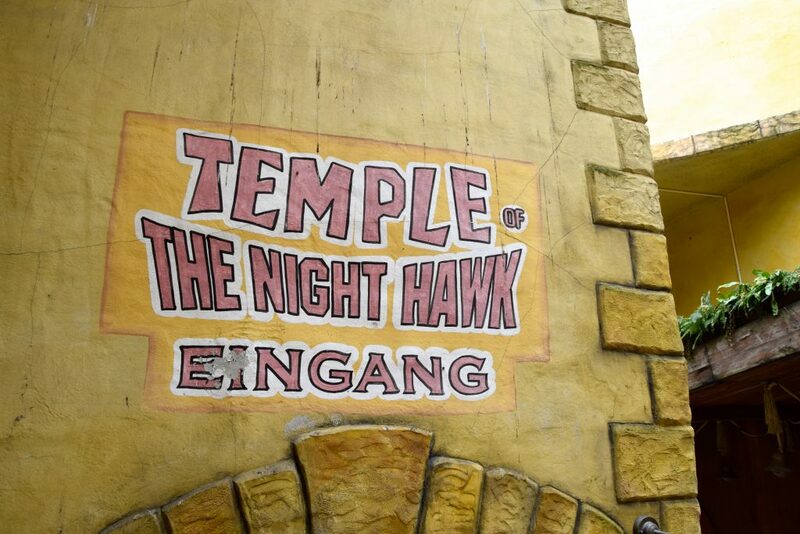 The lesser-talked about coaster at Phantasialand is a guilty pleasure of mine: Temple of the Night Hawk. 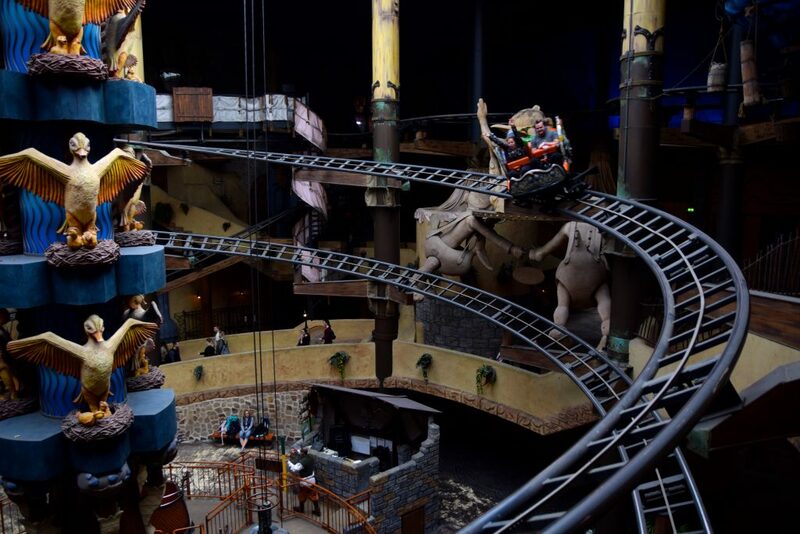 I particularly enjoyed this VERY LONG indoor coaster with 3 lift hills. It’s quite a long coaster and is the only conventional coaster at the park. It is so clear that this was once space themed, the new station is enjoyable just for that. 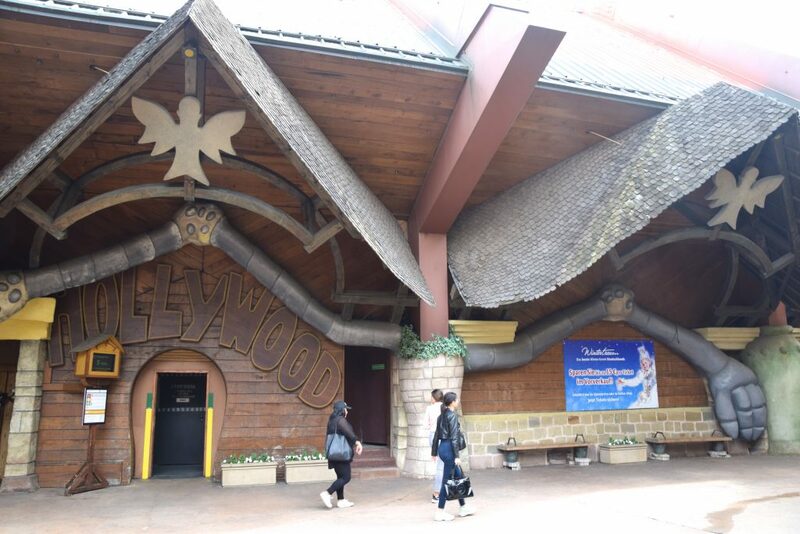 The ultra-long coaster is located above the Hollywood ride in the same building. 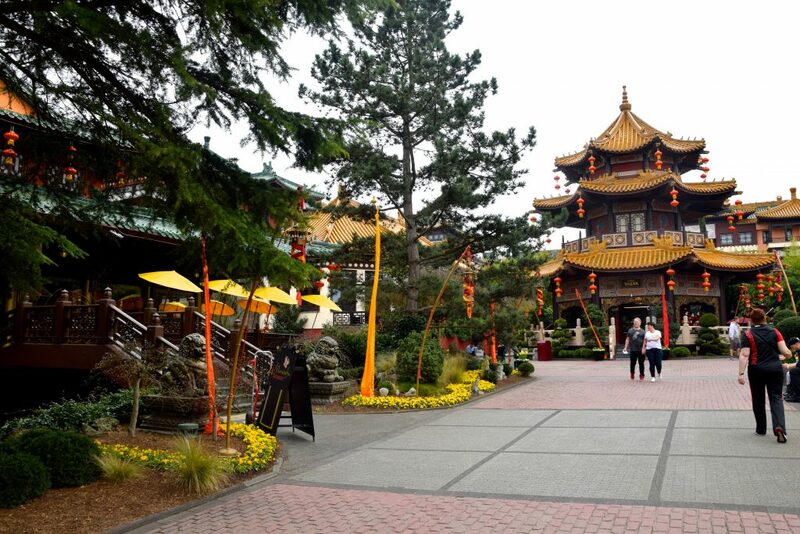 Time to explore the rest of the park and say goodbye to Wuze Town. 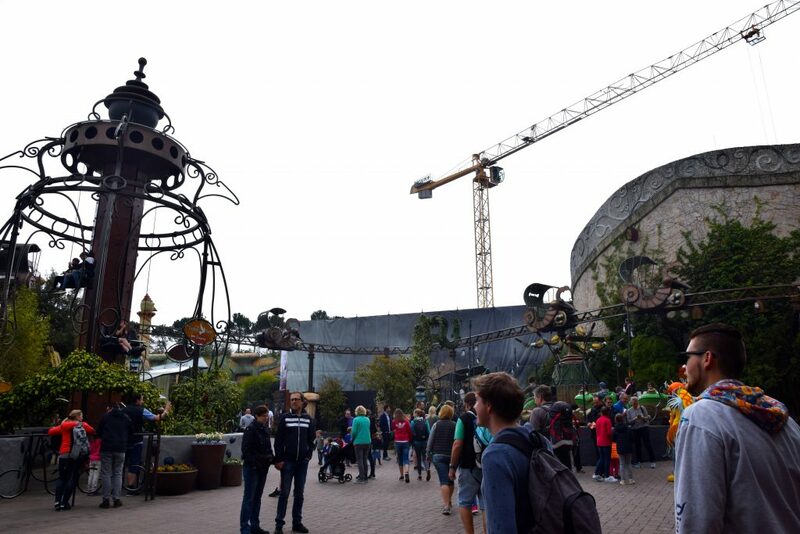 Currently part of the park’s skyline is the crane that is part of the Rookburgh and F.L.Y. construction. 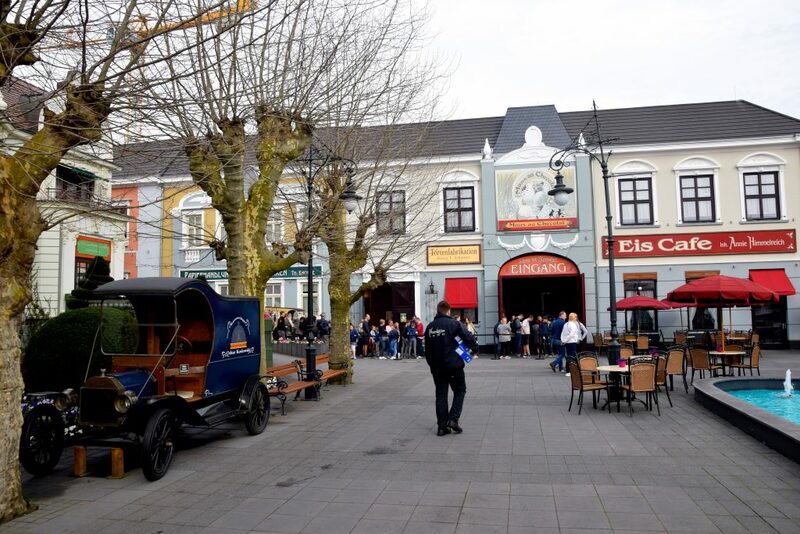 Given that every single thing Phantasialand has touched in the past decade or so is top-of-its-class standards, we are incredibly excited to see how their much anticipated new area will turn out! On our way over to the Africa section of the park, we got a sneak peek of what we had yet to visit… and Chiapas looks amazing from literally everywhere. 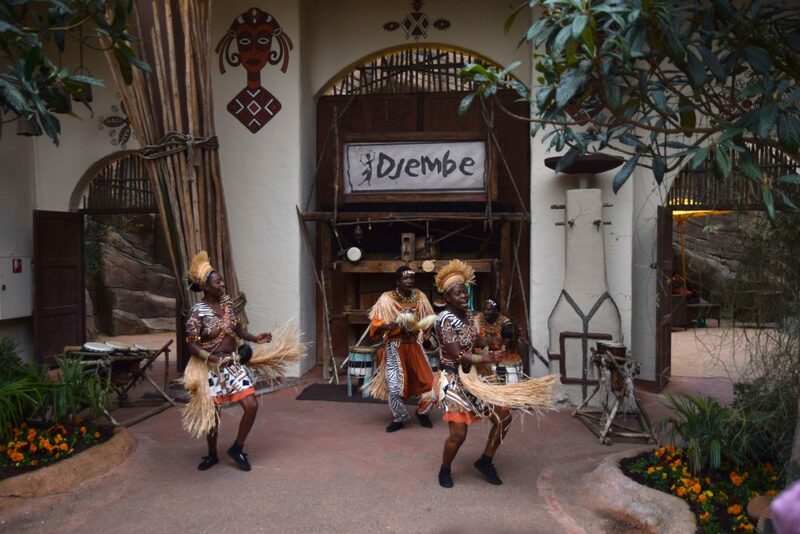 This park hits the nail right on the head when it comes with complete atmospheric immersion, such as this traditional African dancing. 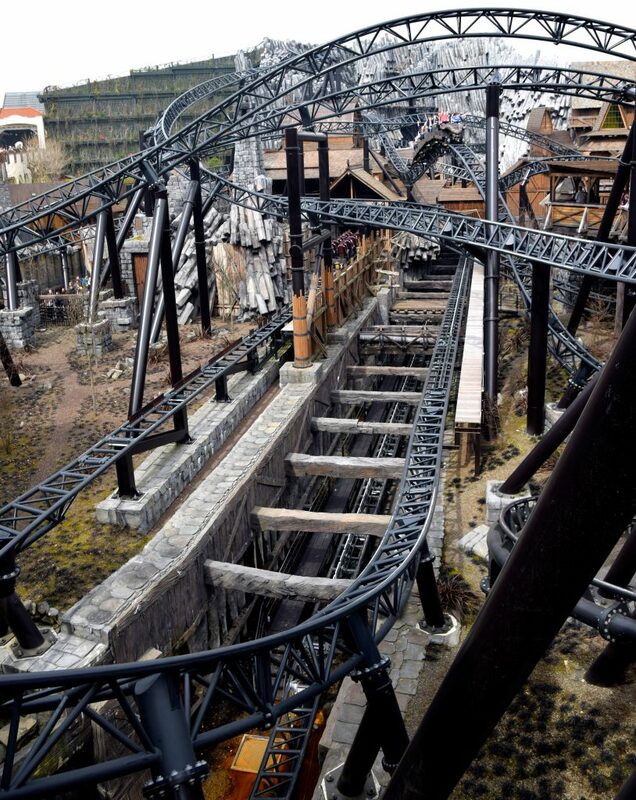 The real star of the area is the infamous Black Mamba, what we consider the best inverted coaster on Earth. 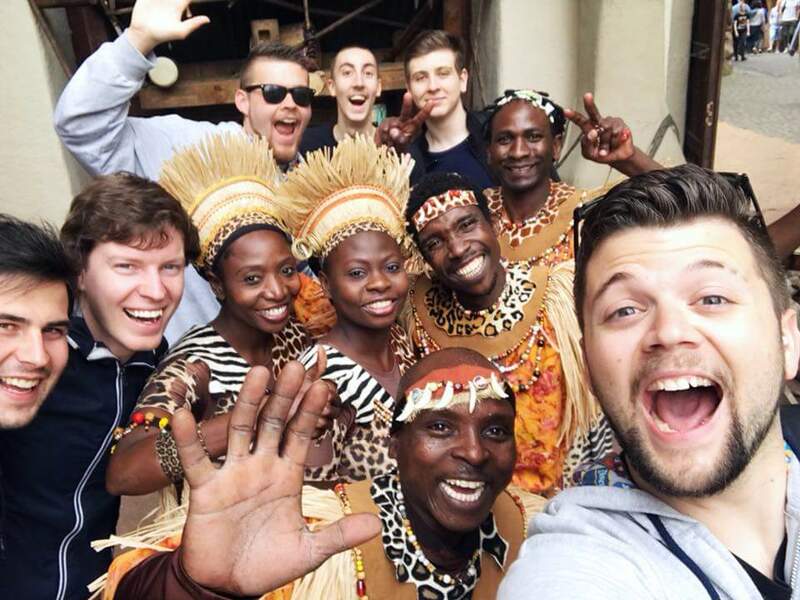 Snappy like a Batman clone, integrated to the Africa area in ways I haven’t even seen Disney parks do. 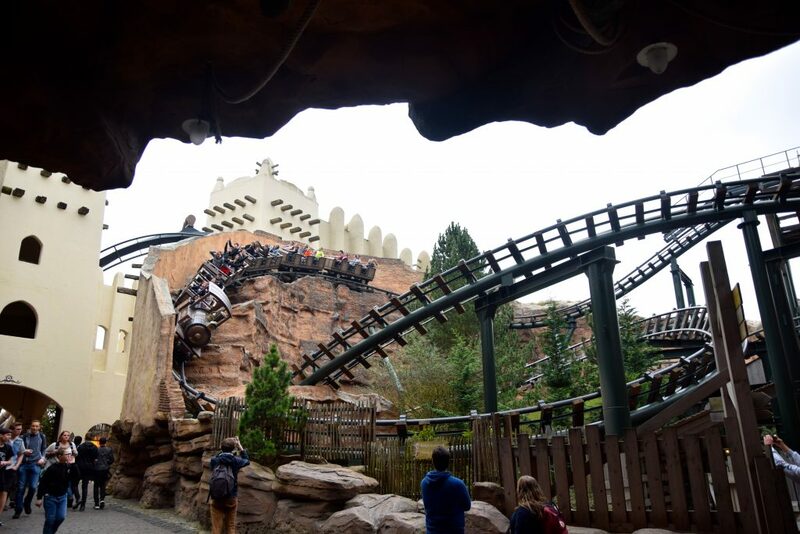 The queue is all over the place, the midways are all over the place, multi-levels with a substantial Bolliger and Mabillard Inverted Coaster woven throughout. The rides are awesome, but this park is a feast for the eyes even if you’re not brave enough for rides like Black Mamba. Immersion. On. Point. 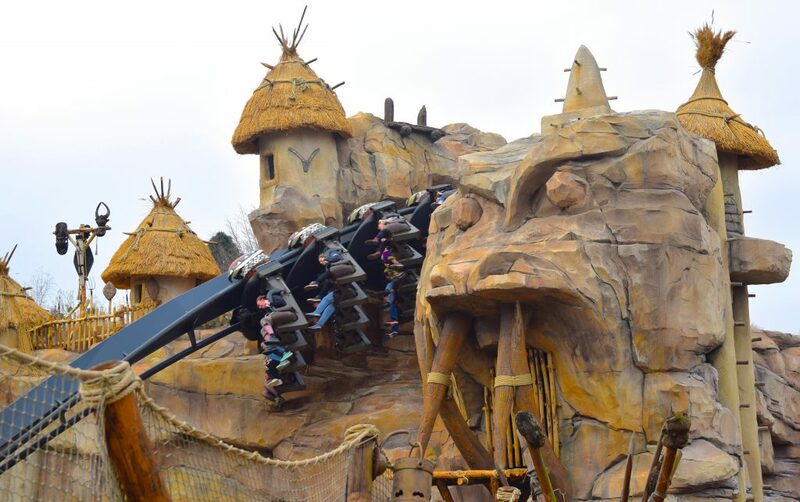 The park redid the rock work for the 2018 season for Black Mamba, so this may be the first time you’re looking at some of the incredible new details! 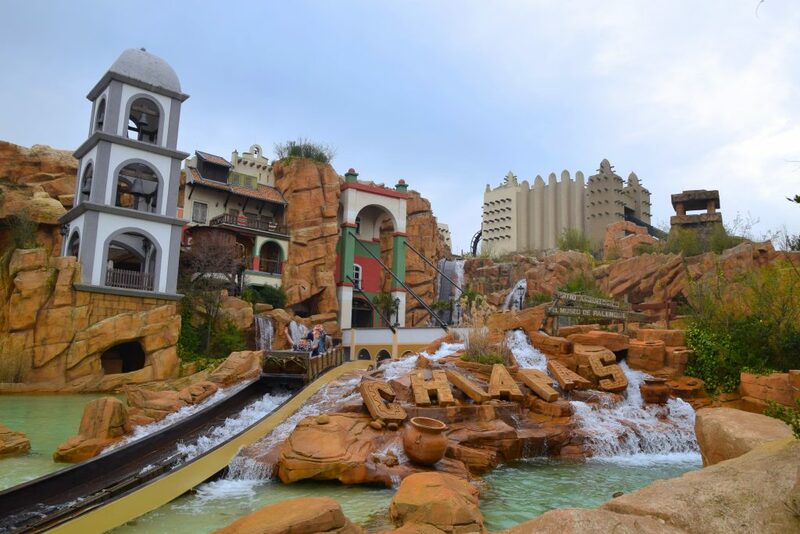 The park stated that all rock work around the park will be touched up in the following years in continuous efforts to have the best scenery and rock work in the industry. On to the next chart-topper! 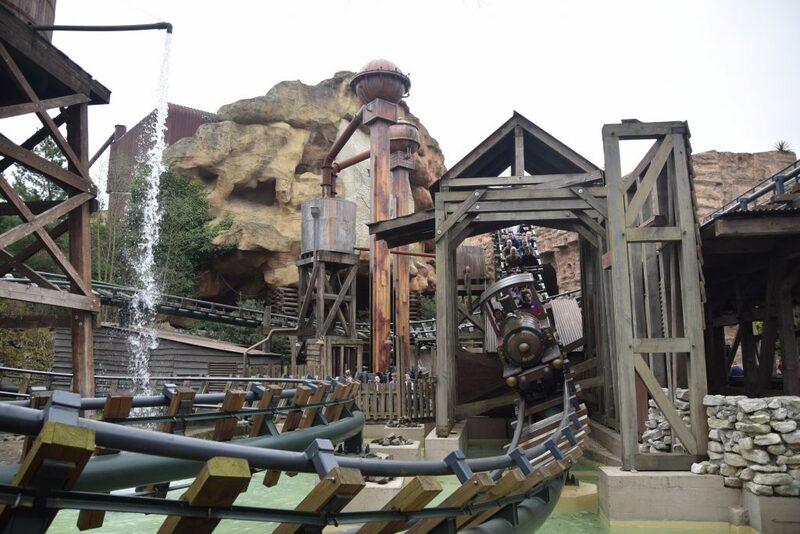 The world’s best themed flat ride! A Huss Top Spin themed to Mayan culture. One you have certainly seen somewhere on the internet before; Talocan! This ride program is intense, but amazing. Just as you’d expect from a German Top Spin. 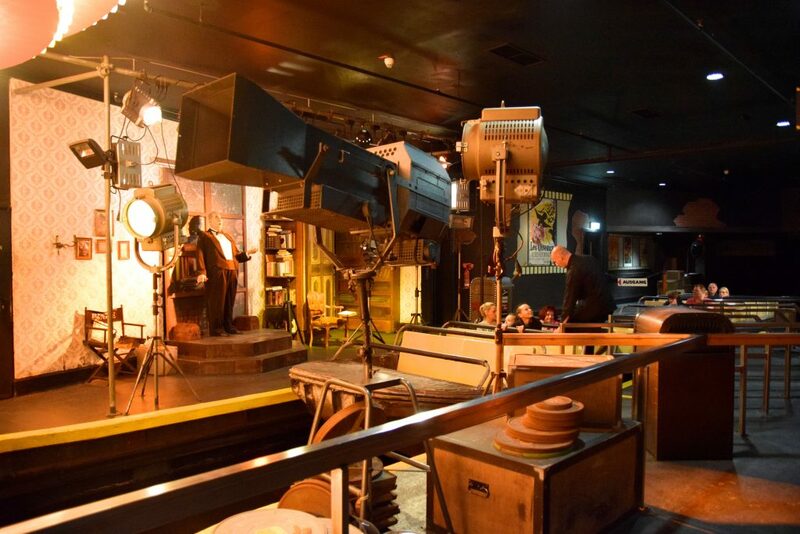 What makes the ride is the fire effects, IMAscore soundtrack, theming and atmosphere. Just watching the riders experience Talocan is worth a wait. 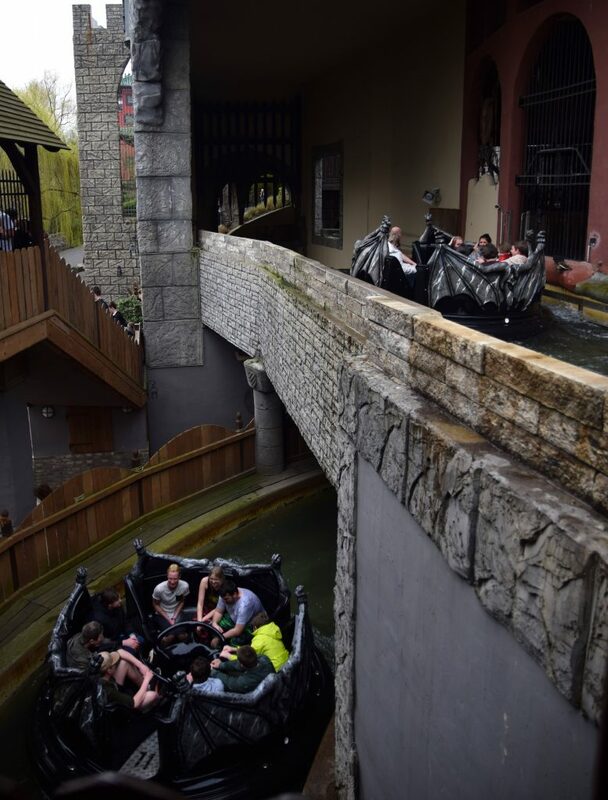 Prior to Klugheim and Taron, all the Phantasialand Buzz was about their state-of-the-art Intamin log ride they opened in 2014. 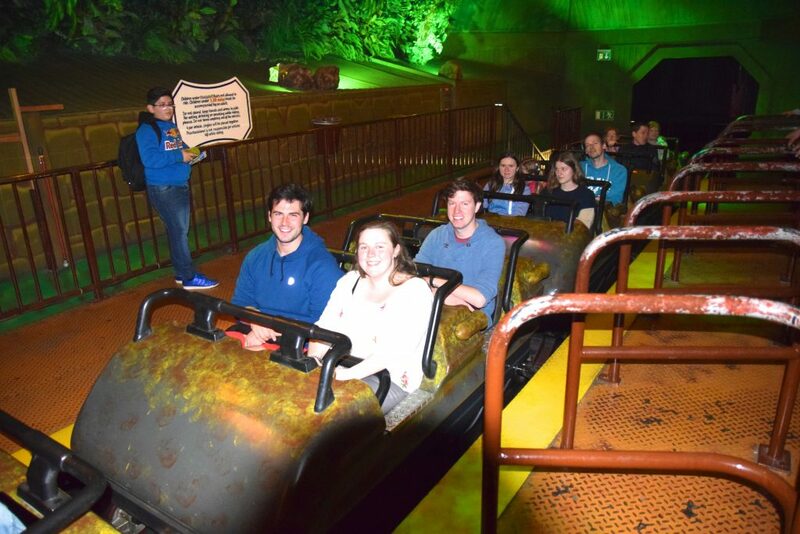 The ride has several backwards and forwards drops including switch tracks, turn tables, and it does so while being incredibly well themed. 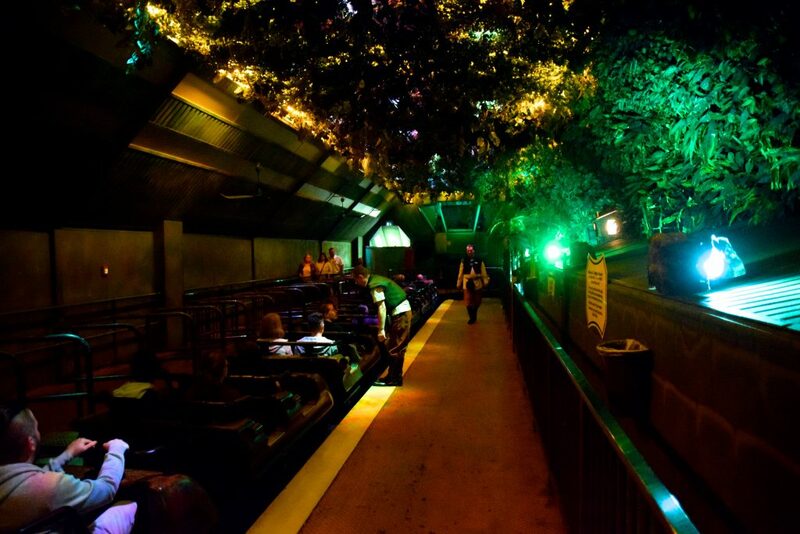 The ride is amazingly well themed, quite long for the space it resides in, and has one of our favorite musical scores. 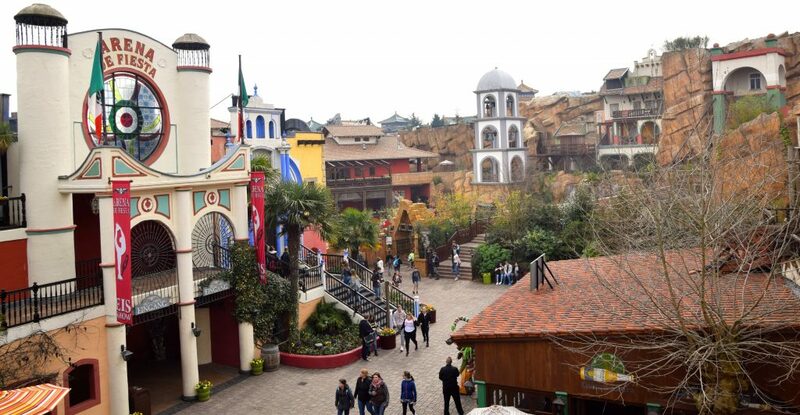 Chiapas is yet another Phantasialand masterpiece, family friendly, unique, and done exactly right. An yet we have so much left to discuss! Food is amazingly well priced at the park, and the food was delicious. 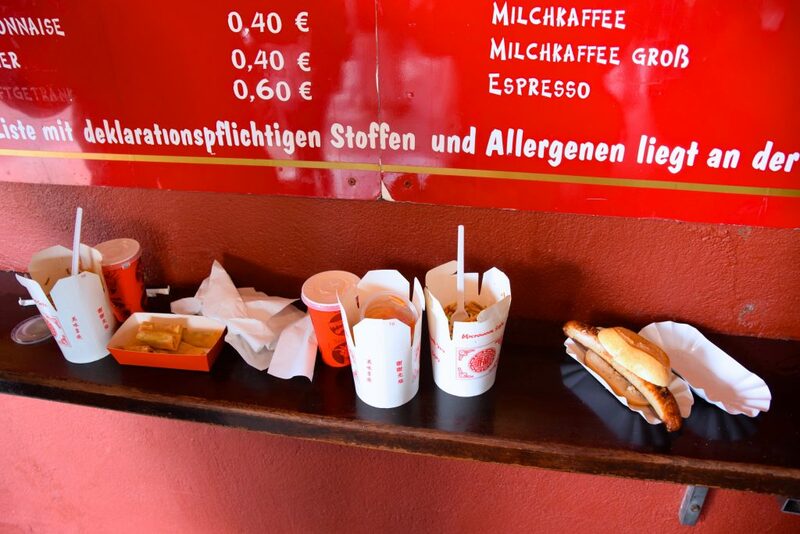 For that German touch, Sven from European Coaster Kings had to get a bratwurst that they sold at China Snack too. 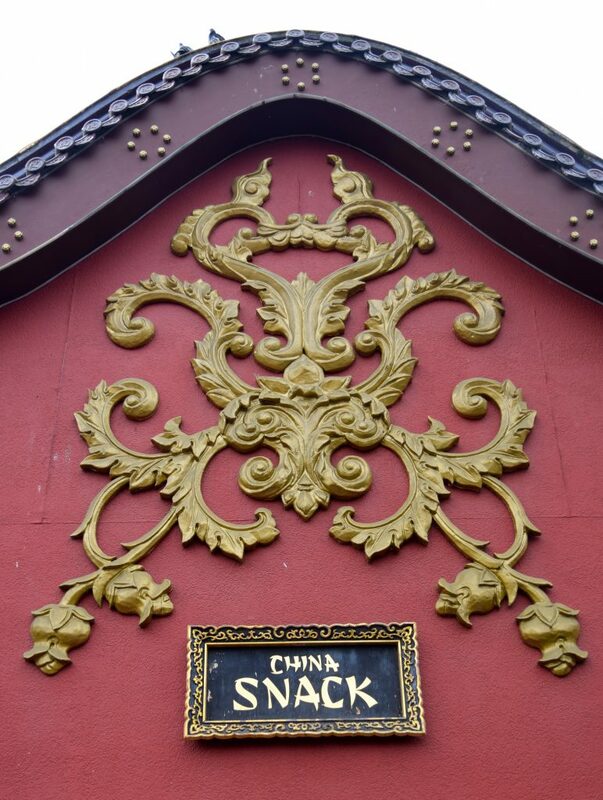 Phantasialand is all about detail, in fact every bit of roofing for Ling Bao and China Town were manufactured by the manufacturer of the Chinese Emperors’ palaces. 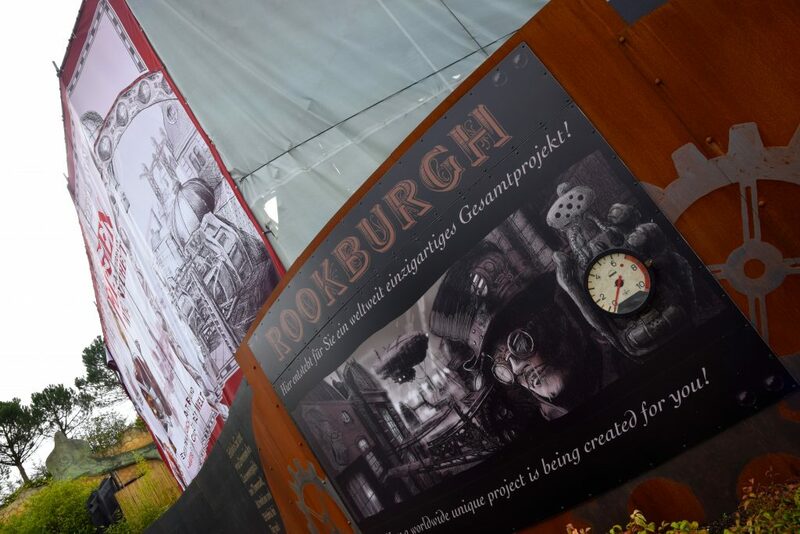 You may have already checked out our Klugheim article, which goes into details of this amazing immersive themed area, and we’ll touch on it again in this report! Klugheim is home to the best multi-launch coaster in the world. Taron is 1320m (4330ft) long, and crosses over itself 116 times. 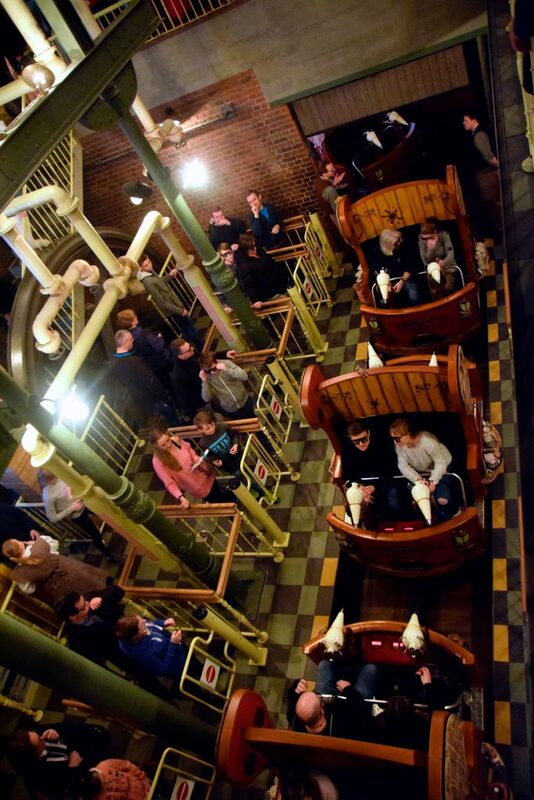 The ride is phantastically long and has the quickest accelerating LIMs out there, thanks to a special cooling system. 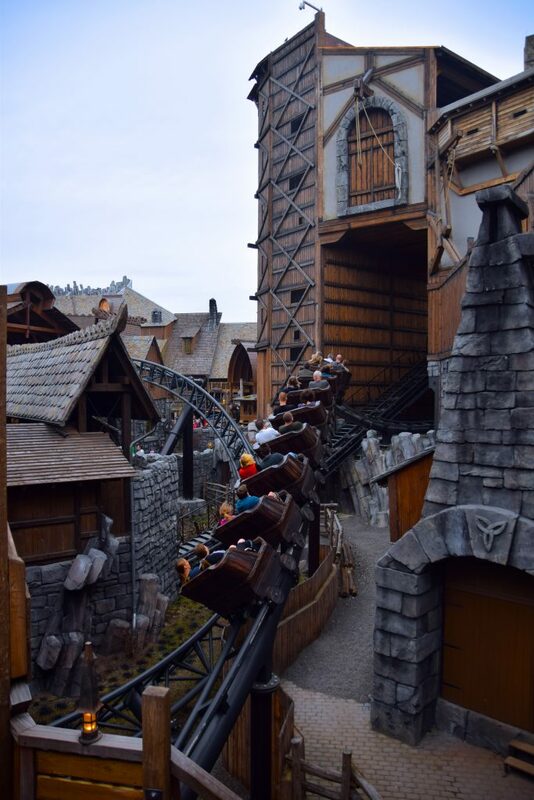 This mythical beast flies through a Game of Thrones-esque town of Klugheim where the park has several midways on different levels, queues, eateries and gift shops, as well as ANOTHER COASTER: Raik! A dark mess of track what forms the single craziest multi-launch coaster experience we have ever encountered. 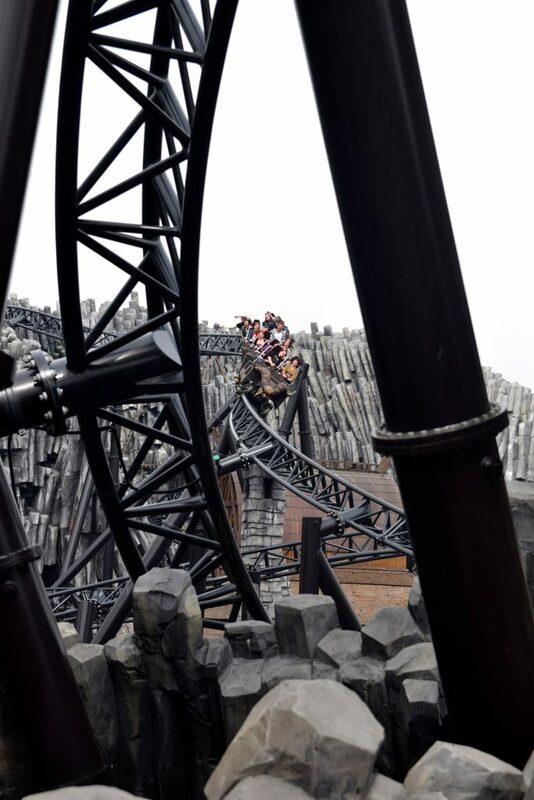 Fair warning, the ride needs to warm up, like any good coaster, Taron is the world-class hit we claim it to be once it has warmed up nicely, so make sure to check it out towards the end of the day too! 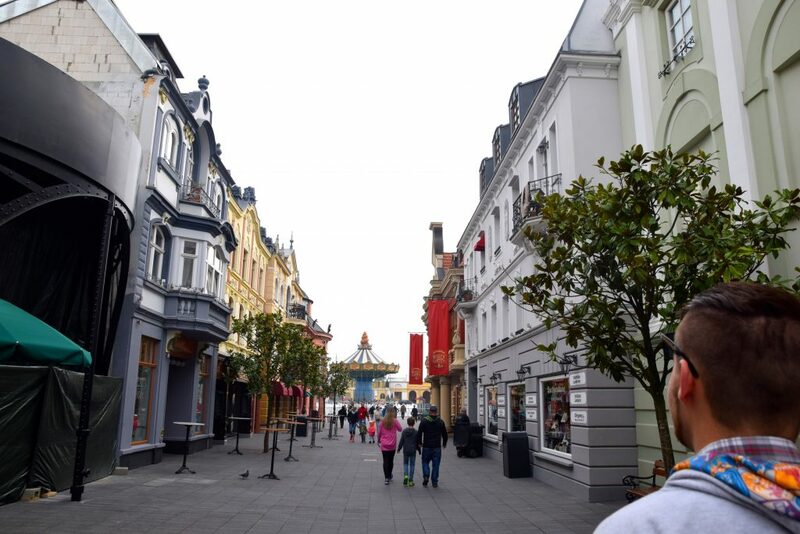 While not inverting, every single thing Taron does is different from what it has already done. 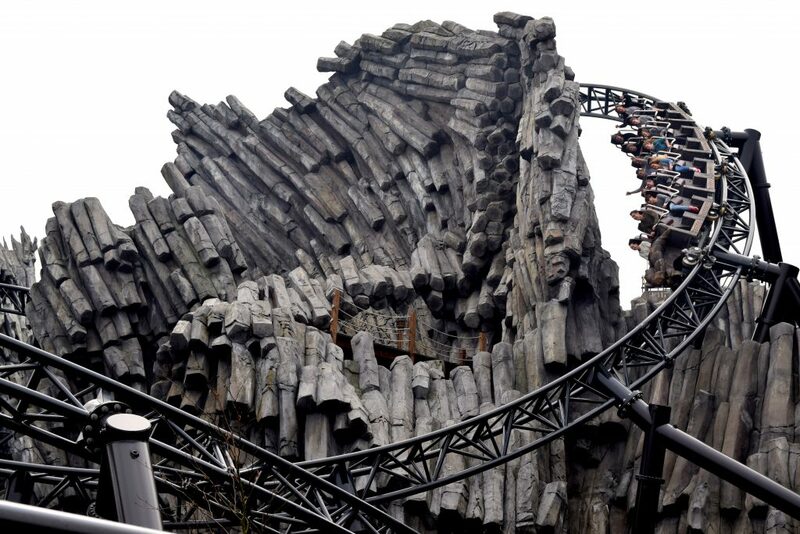 Intamin and Phantasialand must have had a field day with creating this beast. 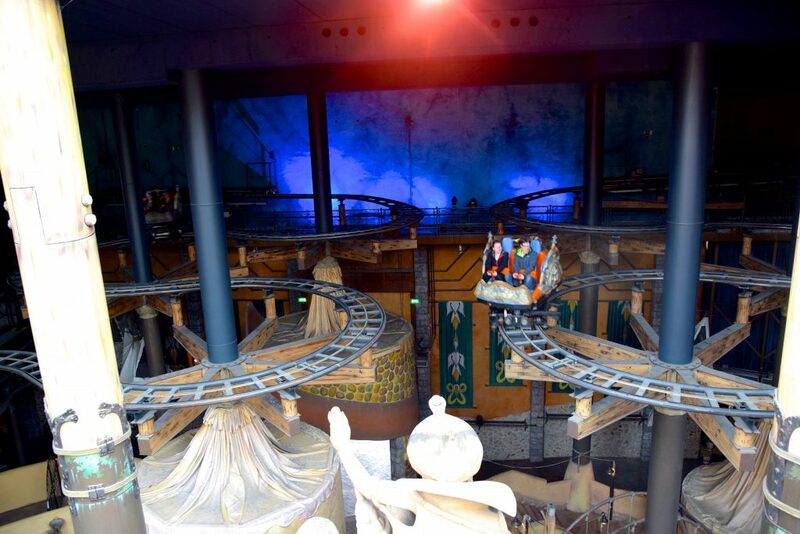 The world’s fastest Vekoma Junior Boomerang is also wedged in below the midways, River Quest and Taron! 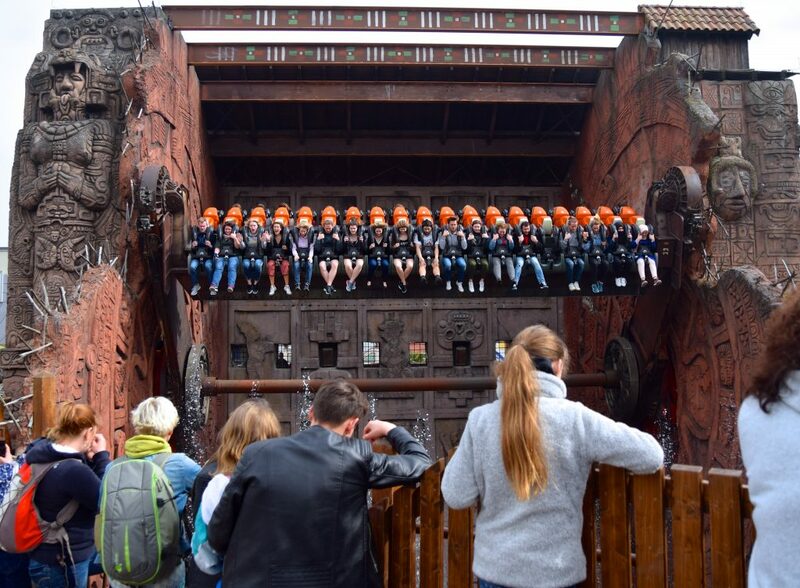 Surprisingly fun, and such a perfect ride to balance the offerings in this mythical wonder world that is Klugheim. 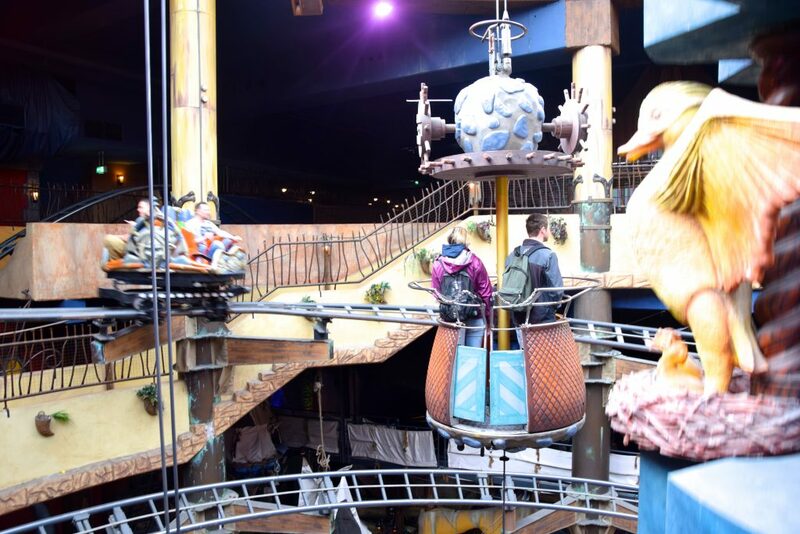 Not yet part of Klugheim but still on the Mystery side of the park is Mystery Castle, an indoor air-powered Intamin drop tower with a haunting queue and special effects. 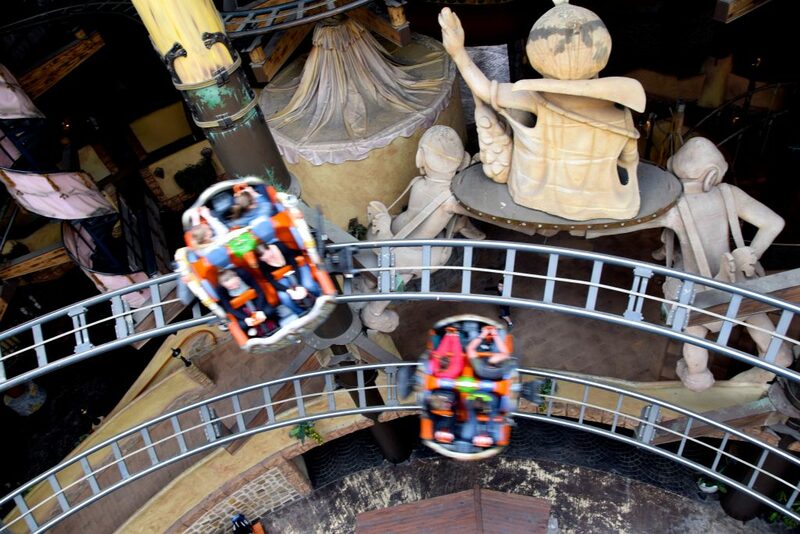 It’s classic Phantasialand and quite good! 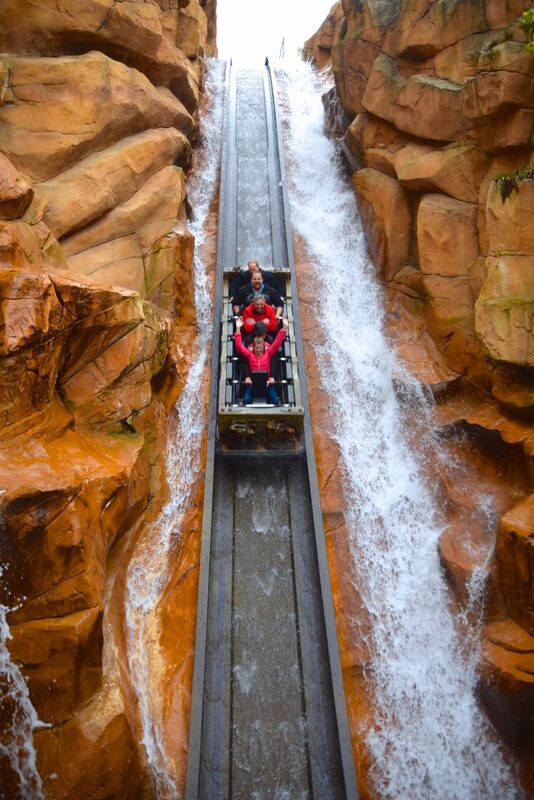 River Quest is also part of Mystery, and is one of the most daring rapids rides there ever was. There are 3 large drops and this ride is wild. 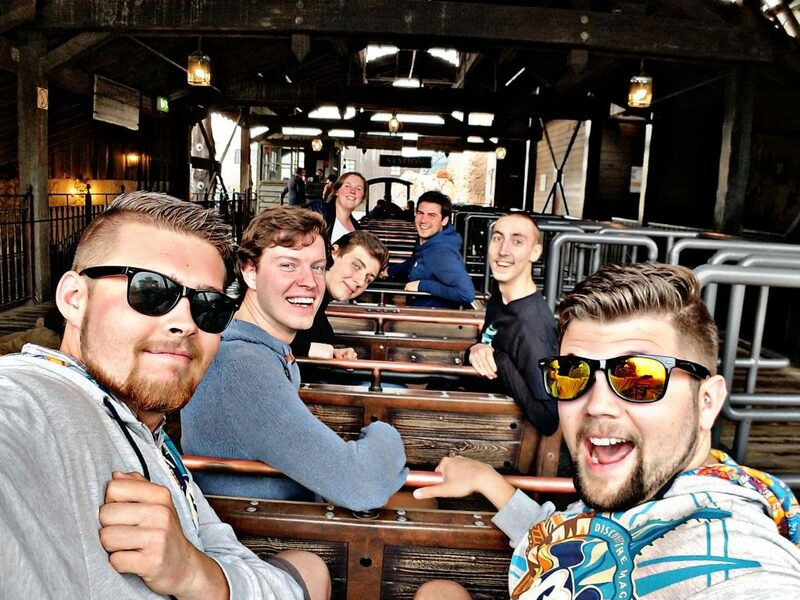 I don’t think I’ve ever been so harshly thrown around on a rapids ride. 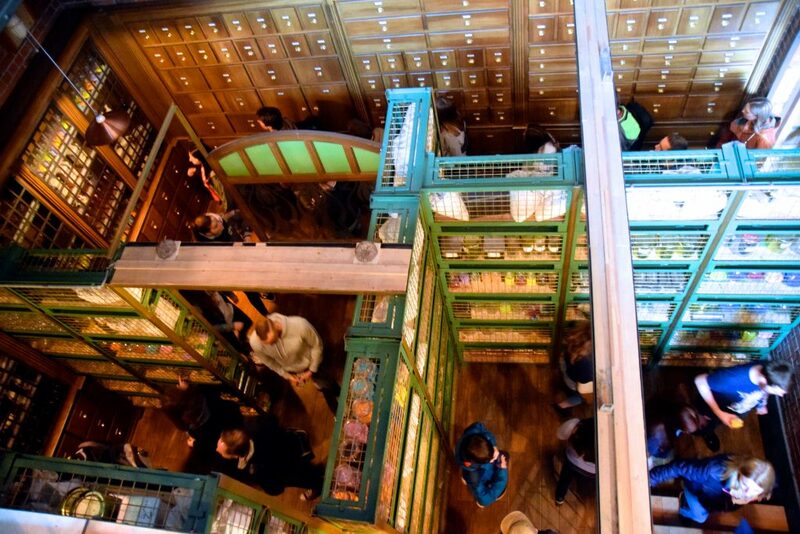 It may not be the world’s best, but it certainly may be the world’s wildest! Ready for another best? COLORADO ADVENTURE! 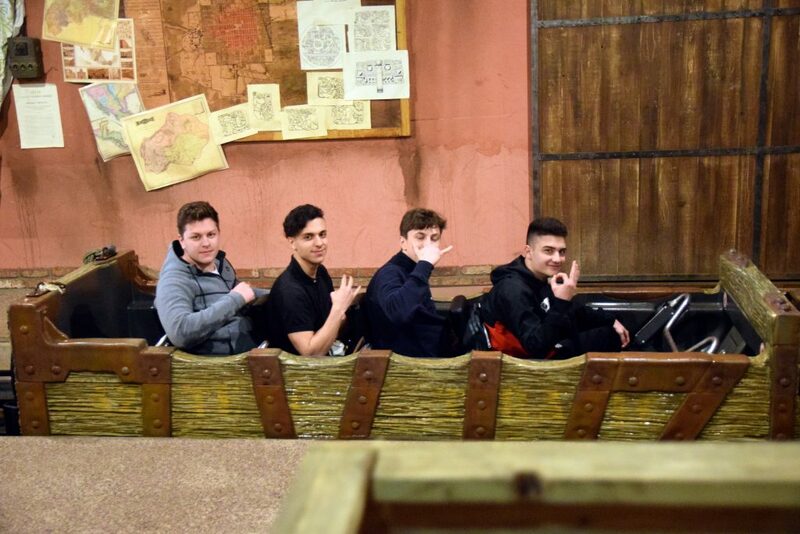 This lengthy 3-lift hill Vekoma Mine Train is fast, intense, features indoor sections and outdoor sections, and is by far the best mine train we’ve ever ridden. You may like your Big Thunder Mountain Railroads, but none come close to the amazingness that is Colorado Adventure. One of the biggest coaster surprises out there. 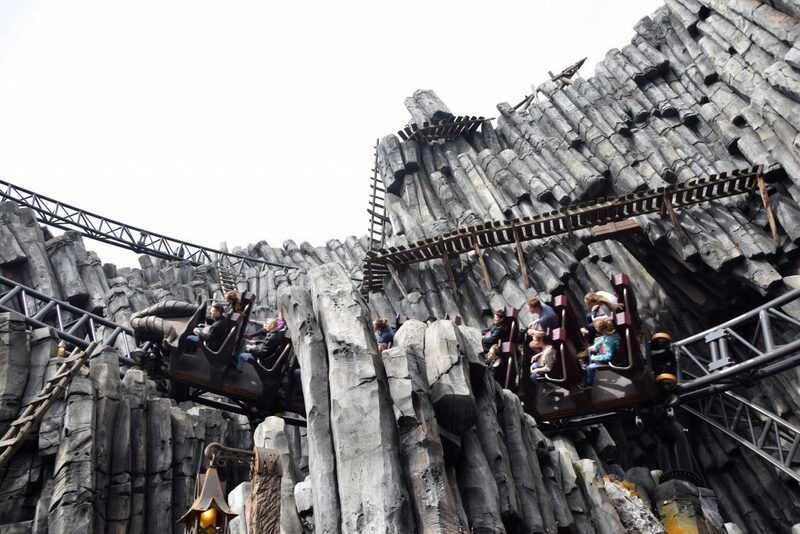 It should be no surprise to you now that this ride too is wedged into the park’s tiniest corners and yet is such a long ride that maintains speed very nicely throughout its course. 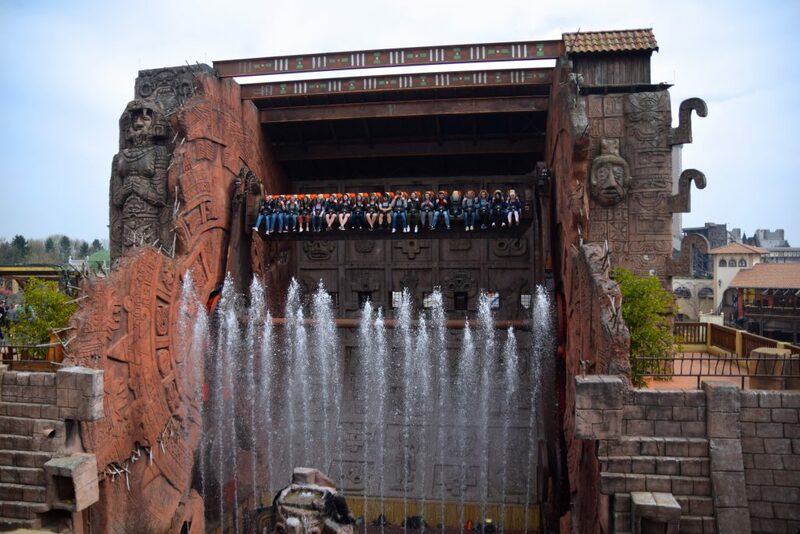 This ride could benefit from a few upgrades that would elevate the rock work and theming to a level of Chiapas and Klugheim. But that by no means has affected the stellar ride experience! 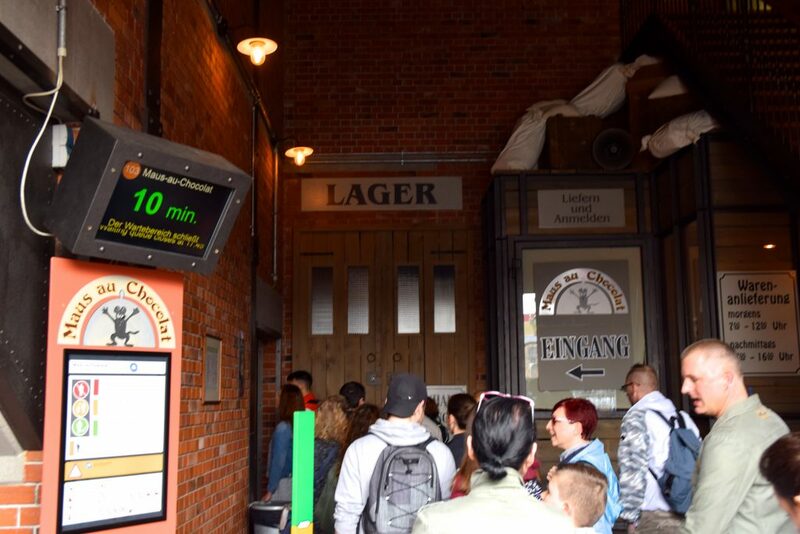 Let’s track back to Berlin (Phantasialand’s Berlin) where we started off our day! 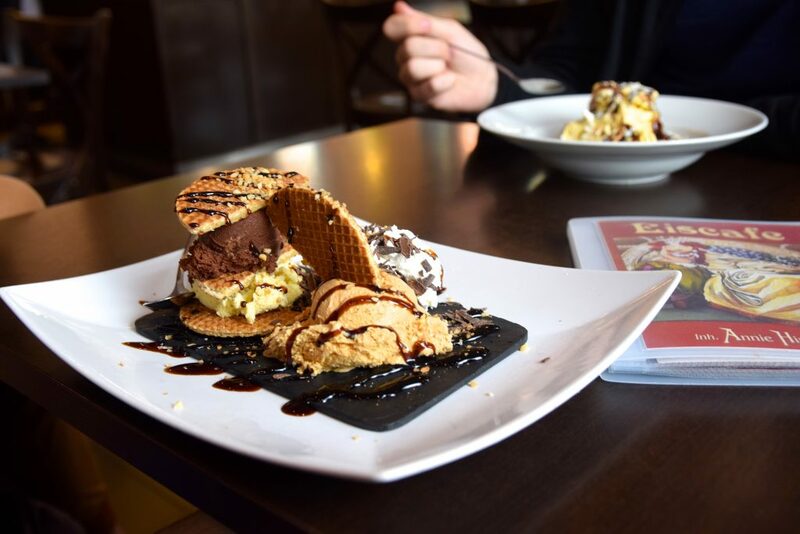 As a European dude myself there is one German thing I am very fond of, restaurants just for Ice Cream. 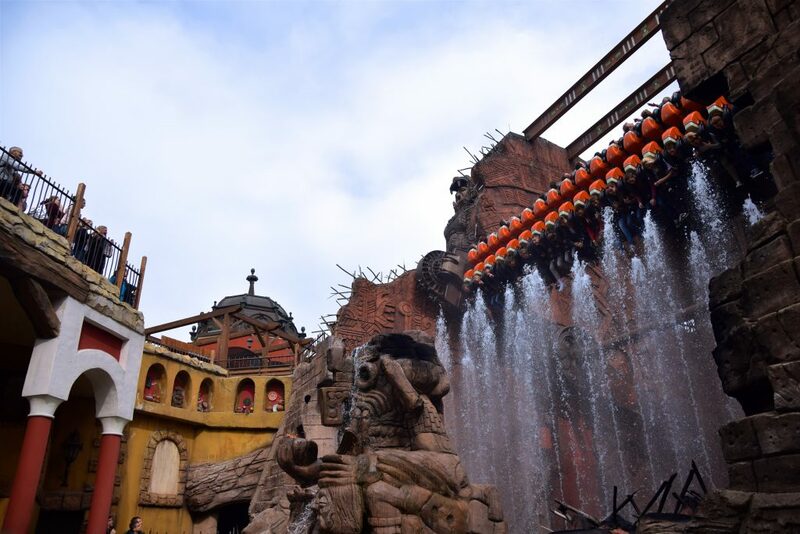 A fun little Phantasialand experience we decided to check out. 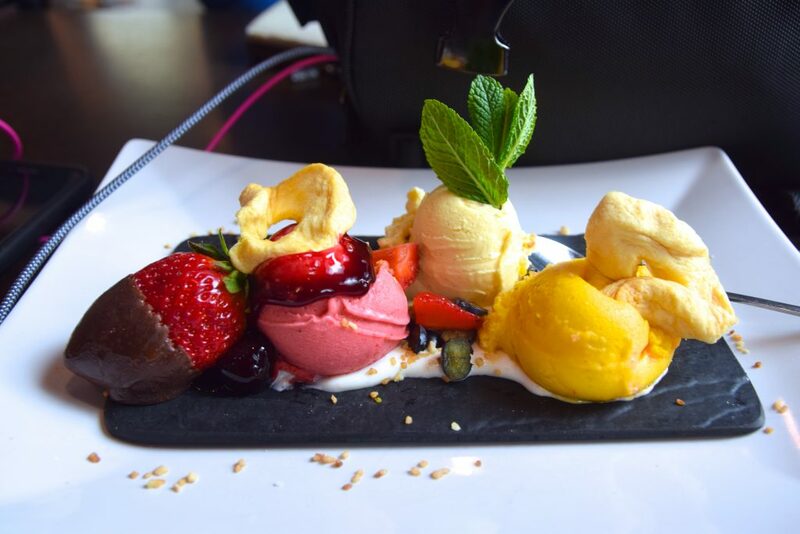 Here are some of the awesome ice cream offerings! After Ice Cream it was time to check out Das Verruckte Hotel Tartuff! 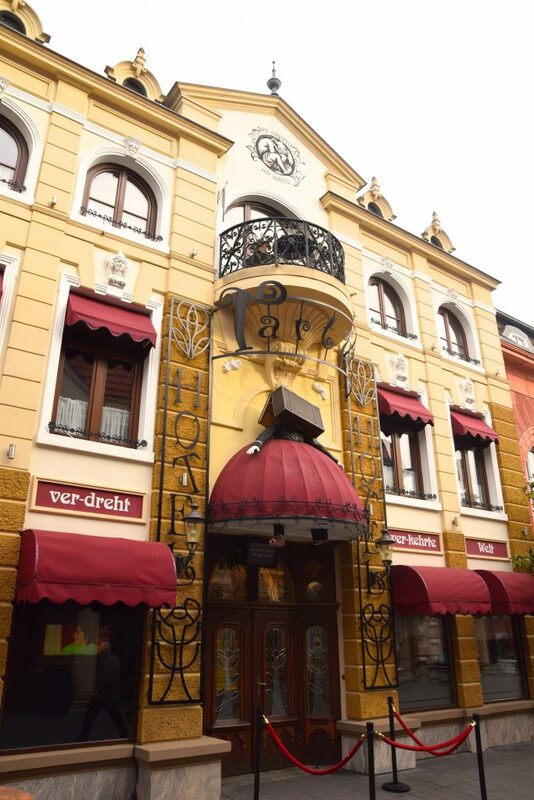 A hotel-themed fun house of style and quality. 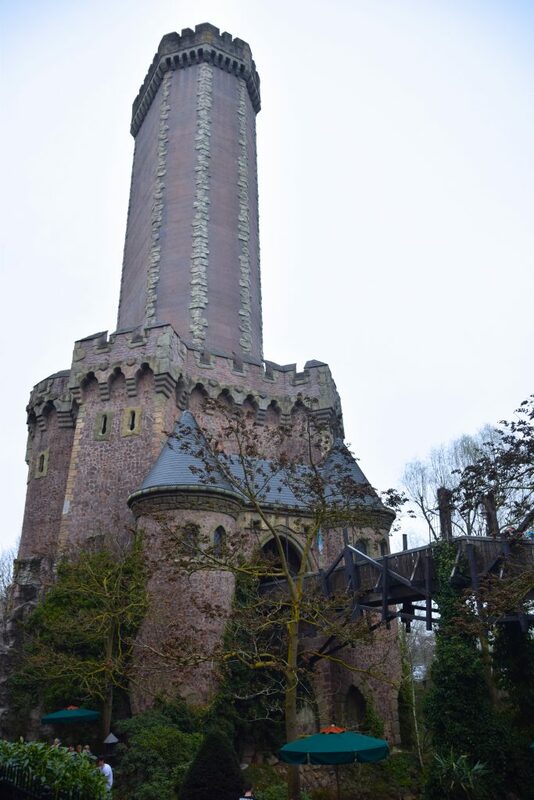 It was one of the attractions I looked forward to most believe it or not, and I was so excited to have experienced it! 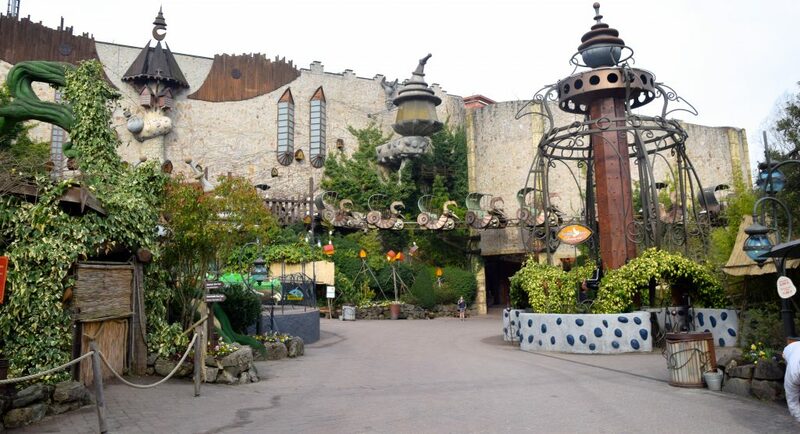 I was very impressed by the length, detail, and the Phantasialand feel to it! And with that we wrap up our whirlwind tour of our all-time favorite theme park. 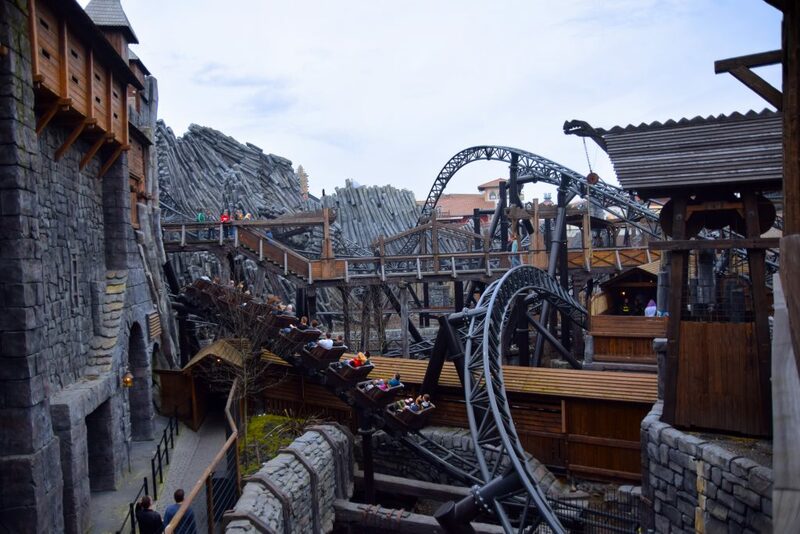 Thanks Phantasialand for the amazing treatment, and the beyond-magical experiences you provide for guests each day. 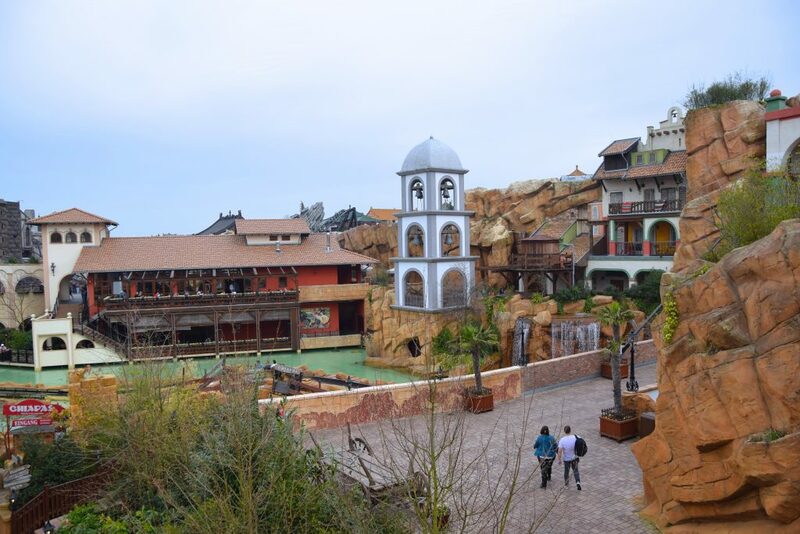 It is an honor to cover this park and thus you’ll see more Phantasialand coverage in the future. For now check out our Klugheim special!